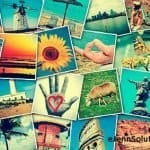 Home » What Is a Hashtag And How Do I Use It? If you are just getting your feet wet with social media you may read or hear the term “Hashtags”. Many people hear it, but are often not sure what it is, what it does and how to use them! Hashtags are a way to include yourself within conversations or find new conversations on Twitter, Google+, Instagram, Vine and Pinterest. It’s a useful tool if you are trying to learn about a certain subject, want to engage with others on a topic or even watch what people are saying on current events. It’s a way of getting your post or information in front of people who are talking about or concerned about the same subject as your post. Think of it as a way to keep discussions and groups more organized and focused. Hashtags are also used to express a feeling or statement. Hashtags such as #Loved or #Relieved can help to express emotion in a post. Sometimes a hashtag can create condensed information such as acknowledging that a post or tweet is a paid advertisement by the use of the hashtags #ad or #sponsored. I use hashtags to find and follow conversations I want to be involved it. For example, if a new business is opening up in the Milwaukee, Wisconsin area, I would want to search on twitter for the hashtag #Milwaukee to find those that are in the Milwaukee area. As a business, these are people who might be interested in my Milwaukee based business. I would also search for my product and location. For example, if I have a coffee cart and I’m going to be in the Chicago area, I would USE the hashtags #Chicago #Coffee in my own tweets or posts as well as search for those using those same hashtags. This both helps me find people who like coffee in Chicago, but it also allows me to be in those conversations and help people find me. I hope this helps give you the basics of a hashtag and how they are used in social media! eJenn Solutions help companies set-up and maintain their social media accounts. Social site set-ups start as little as $99. Feel free to contact me anytime!